It’s an often told story – my return to the world of DJing that is. But in a nutshell, being away from the DJ scene for close to a decade and a half, I was determined to pick the very best turntable I could from the pretty tiny selection of high end fodder that was on the market. Of course, Technics were on the list, along with Vestax’s PDX-2000 and the very new and space age looking Numark TTX1 (as it was way back then). Sure – the safe bet would be the 1210, but I’m not one to follow the crowd and often deliberately buck the trends. So the choice between the PDX and TTX1 was tough, but looking at the specifications and reading the various orgasmic reviews, I went for the TTX1. And here I am, still rocking those same TTXs. But the journey hasn’t been without its hiccups. And now here are some 5 years later, with the latest version of the TTX (now minus the 1) and jumping on the digital bandwagon that Numark seem to be hogging much space on these days, USB has been added. So now seems as good a time as any to track the mighty Numark TTX, from the first release to this new über digital version. There have been several versions of the TTX. The first – tagged TTX1 – was quite remarkable compared to the rest of the competition. 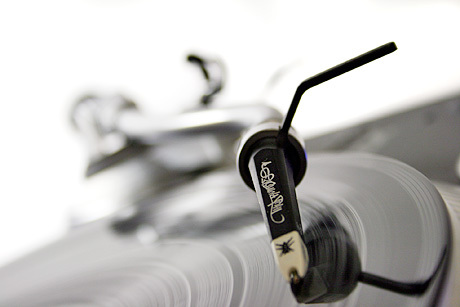 There had never been a turntable quite like it, boasting interchangeable tonearms, a finger bleeding 3.7kg of torque, a full display, and controls that you could swap around to suit your style. So of course, we all lapped it up and sold our family heirlooms to covet a pair of these stunning decks. But it soon became apparent that all was not well with the TTX1. Reports emerged of platters not spinning, going backwards or just stopping under the slightest finger pressure – including my pair. Having opened up my TTX, it’s easy to see why this is happening. The TTX is a weighty beast, and the inside is chokka full of all sorts of technical wizardry, leaving almost no air circulation, leading to excess heat causing dry joints or even components even failing. But the bulk of the TTX1’s early problems are down really clever people removing the platter while the TTX was powered up, despite sticker on the platter telling them that this was really stupid and would mess up your TTX big style. Within 2 months of the first batch being made, a sensor was added that would stop you frying your motor, should you choose to ignore the warnings. Disclaimer: using these mods quite obviously flushes any warranty you ever had down the toilet. Don’t attempt these if you’re dangerous with anything that has a plug, sharp edges or gets hot. And if you fry your TTX or yourself, you can’t sue me or Numark. Are we clear? 2003 saw a silent but much needed update – the heat issues were addressed with a bigger heat sink and a new motor, which effectively got rid of the troublesome sensors. The next incarnation in 2005 sought to keep possible switchers happy. Mega torque isn’t for everyone and indeed I’m not even sure it’s that important despite manufacturers pushing greater torqued motors upon us. 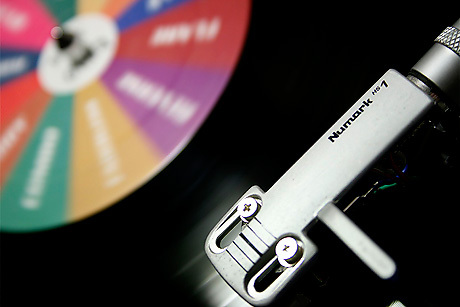 But Numark thought it would be cool to introduce an idea that has been kicked around for years – variable torque. 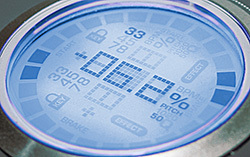 The TTX now comes with 3 settings roughly matching the competition. And at this point, Numark updated things under the hood as well, by adding vents under the platter to cater for the extra heat generated by the new motor. Such is the way of technology these days that USB ports are being put in everything, and the TTX is no exception. It seems like it’s being used for audio out only rather than some sort of clandestine MIDI control, but it does allow direct digital connection to a laptop for easy of transferring vinyl straight to the digital domain. 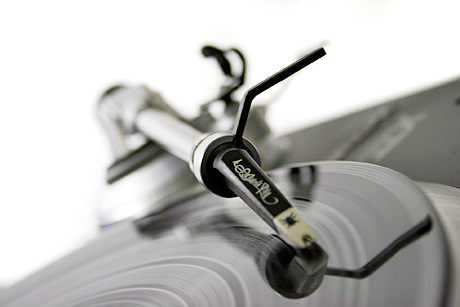 Of course, there have been several minor tweaks that you probably wouldn’t notice in Numark’s program of continuous improvement such as the tonearm height lock knob (the origonal is a real pain to move) plus a load of hidden updates as well. Only time will tell if Numark has cured the motor problem. The internet seems to be not as full of vocal TTX owners slagging off Numark these days, so I can only assume that the revised TTXs have fixed the motor issues. 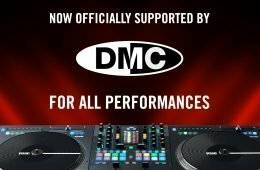 In fact Numark are convinced that any TTX that came out of the factory in the last 4 years should be free from motor problems. Before I get into my flow, this review will be of the new TTX. It’s obviously valid for the older ones as well and where there are differences, I’ll be sure to highlight them for you. When you first gaze upon the TTX, you know that this is something very different from the rest of the competition. Rather than taking the safe route and catering for the established market, Numark decided to design the ultimate deck – pleasing as many people as possible but also pushing the boundaries of established design and jumping a long way past the “safe” line drawn in the DJ sand by Technics. 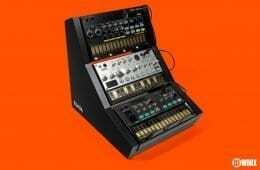 Challenging the conventions of deck design isn’t new – indeed Vestax (who else) brought out the PDX-A2S, squarely aimed at making the scratch DJ’s life easier – and thus consequently sold in miniscule numbers, despite being actually logistically better for DJ use. So Numark still had to at least work not too far outside the deck design rule book. Construction wise, the TTX is a back breaker. It’s immensely heavy, weighing in at a back breaking 28lb. The body is made up of 4 parts – a cosmetic top cover, the plastic body, a synthetic anti-resonant inner core and a silicon rubber base – all sat on top of 4 adjustable rubber feet. Whether all this addition body weight makes a difference to the sound is debatable, but I’d say it’s no better or worse than the competition. All I can add is that it doesn’t kill feedback from the body, but there isn’t any excessive noise from it either. This weight certainly extends to the overall quality of the construction as well. The general feel of the TTX is one of supreme quality – much like closing a VW car door. Well… apart from the 2 start/stop buttons. They work but just feel a tad flimsy. Indeed when I got mine out of the box, I had some real problems with sticky switches which in use, have disappeared. Never thought I’d have to break a deck in. 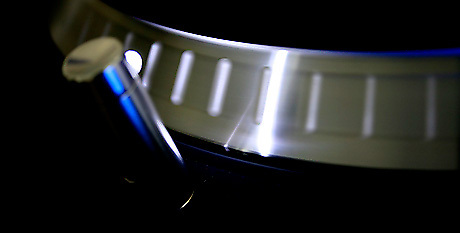 Perhaps the most in your face element of the TTX is the striking neon blue circular display. Showing everything you need to know, this display gives a very visual readout of everything that’s going on with your TTX. On the whole, this means seeing the pitch adjust in big blue letters, but it’s also a visual indicator of platter speed, pitch, BPM etc. It also comes with zippy solid blocks that indicate platter rotation – really useful as otherwise I’d never know the vinyl was spinning. This screen also indicate the start and brake settings when adjusting. The contrast can be adjusted depending on the lighting conditions. Interesting fact – there’s a small part of the display called “effect”. You can’t see it unless you ramp up the display contrast and look hard otherwise you’ll miss it. Using advanced Photoshop techniques aka ramping up the curves, you can see all the various options on the display. But what is this effects option used for used for? Nothing that’s what. A quick email to Numark told me that it was an idea that was never implemented. Now you know. This whole having to keep everyone happy lark is a bit of a nightmare for anyone in the deck design business. Numark obviously spent time looking at the needs of DJs and did their best to please as many people as possible without alienating anyone. In the DJ world, there’s a basic split between S-arm toting regular position mix DJs and the rather more gymnastic straight arm battle positioners – and Numark have managed to cater for both camps with style. 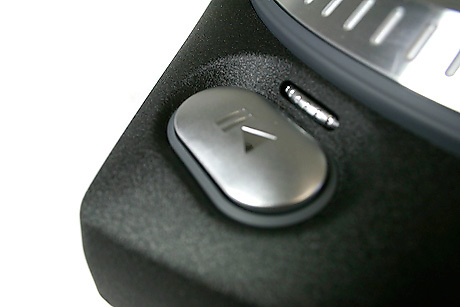 Depending on your rotational preference, the TTX has 2 large start/stop buttons in the corners. For the more scratchy amongst you, this is a god send as it means that lefties and righties get an button for each hand. These come complete with brake and start dials just above the buttons. These give a 0-9 seconds adjustment range, improved from 0-6 seconds on the original TTX1. It takes a good few turns to effect the whole range and i would have liked it to be effective in perhaps one turn for some more flexibility in deck techniques. One real innovation implemented by Numark is the user configuration of the somewhat stiff pitch slider and speed controls. Again, depending on your preference, you can simply unscrew the controls and swap them round. So for battlers, the pitch won’t be obstructed by the tone arm. And it doesn’t stop there – the display also auto-rotates, so no cricking your neck to read the big blue light. It’s a nice move, but for those who use other people’s decks on a regular basis, this benefit might actually be a hindrance. I’ve certainly got used to having the pitch in a more battle friendly position and very much missed the second start stop button while reviewing the Gemini TT-04 recently. 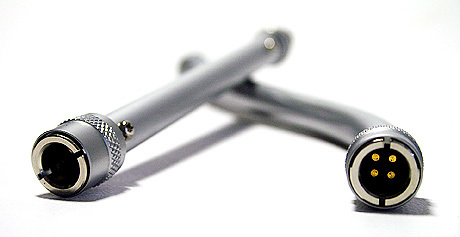 The tonearm assembly is very solid and unlike any other on the market. Of course you get full lockable height adjust (though I’ve never used it) from 0-6mm. And again, you also get the standard anti-skate control as well. The pivot itself is more like a seesaw than a suspended gimbal style as favoured by most other manufacturers. 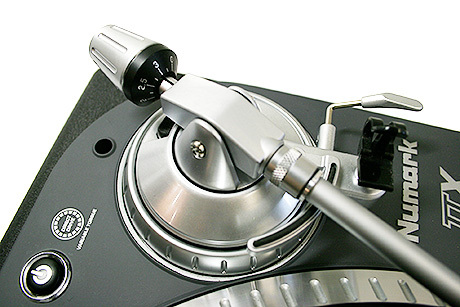 This means that the tonearm assembly is connected directly to the bearing, which while being simpler, has the potential to create greater tracking forces because of increased friction. 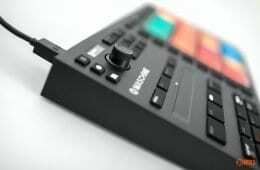 Doesn’t seem to effect the Vestax PDX arms and nor does it on the TTX. Here’s the clever bit. Remarkably – and backed up with a patent – Numark allow you to swap between S and straight arms using the same connector as your headshell. Both are supplied and work with varying levels of success. The S-arm being longer thus a tad heavier comes with a small counter balance that you screw into the end of the tonearm. Being in the straight arm camp, I experience 99% skip free performance (surpassed only by Vestax’s Dynamic Balance arm) whereas the S-arm does seem to suffer considerably from the forces at play. It’s fine for mixing but without some experimentation with tonearm weights, height adjusting and anti-skip, you’re not likely to be as happy with straight arm as you would like. 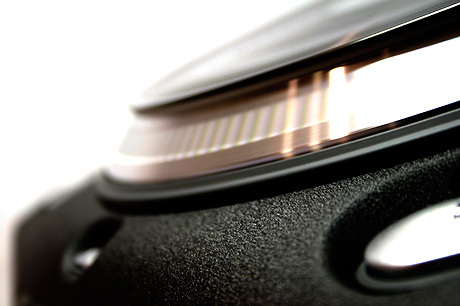 With the S-arm, adjusting the height does improve performance, but at the expense of record wear. The initial batch of TTX1s came with a groundbreaking 3.7kg of torque. This was soon surpassed by other decks and indeed, the newer TTXs boast 4.7kg of sustained torque, which of course in the race for supremacy has been beaten. 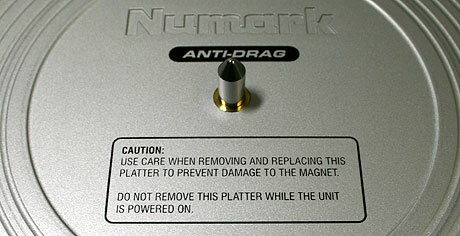 But this is another Numark first in that the offers variable torque with 3 settings of 2.5, 3.7 and 4.7kg. These figures are for startup torque, dipping down to sustained torque figures 1.1, 2.7 and 3.7kg. It’s also worth pointing out that many manufacturers quoted figures are for startup torque so it’s probably worth looking past the PR hype and seeing what the real deal is. Easily changeable on the fly, there is a quite a noticeable difference, especially for those used to touching the platter to adjust while beatmatching. I’m not that fussy myself, but you now have the choice – and choice is good. The TTX is capable of 33 and 45 plus 78 with the press of a couple of buttons. Normally I’d say 78 is a bit of a waste but the direct recording via USB does make it a more relevant archiving tool. And if you wish, you can spin in reverse as well. 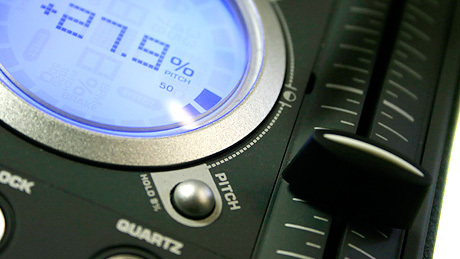 Pitch range is 8, 10, 25 and 50%, so you Technics die-hards have your beloved tiny pitch range if you want it. Selecting pitch is simple – it’s an easy button press to cycle between 10, 25 and 50%, with a long button press needed to select 8%. The display does show 0.1% increments, but having an analog motor, it’ll be entirely linear rather than stepping. While we’re talking pitch, the TTX comes with a strobe, one that switches depending on the platter speed selected. So unlike other decks with skin removing platters, the TTX has just one simple set of dimples. But the new TTX strobe has a nice ace up it’s sleeve – it’s been designed so that a flat mirrored surface is on the body so that you can see the static bump reflected back rather than having to look around the platter. And this new is considerably brighter as well – retina scorching in fact. One last thing – because of the DSP in the belly of the TTX, some fancy audio magic can be performed – namely keylock is possible. This shouldn’t be underestimated as it has been a godsend when I’ve been trying to crack a juggle or just generally improve my speed. It can however only be applied to line level output, and like all other keylocked decks only has a practical range of around -15/+25% before breaking up too much. Still, it’s a useful thing to have nonetheless. This DSP also means BPM can be counted and displayed. The displayed BPM also moves up and down with pitch adjustment, but to be honest isn’t that hot and seems to be easily confused by music that is less than heavy bass/snare 4-4 beats. Use as a guide only. The TTX has always been ahead of the game in terms of output. 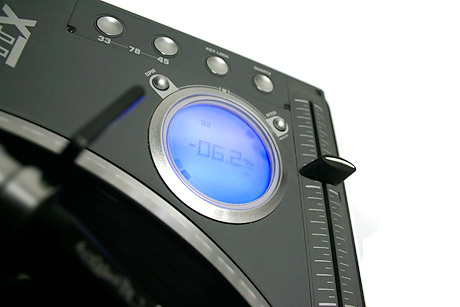 All decks come with phono out but because of the DSP processing, a line level output has also been necessary. It’s the same output, just selectable with a switch. Things however have changed on the new TTX with the original SPDIF digital out being replaced by a USB port. I’d love for this to be some really cool advance in DVS systems (and who knows it might be eventually), but it does seem to be a simple audio out thing, but does now come with a gain control. To convert USB into audio, The TTX uses a Burr-Brown DAC, which in audio circles is considered to be pretty hot. Using the supplied Audacity software, I converted the same track with line in and with USB and found no difference in audio quality, meaning that you can happily leave a USB lead plugged into your deck while still having the TTX plugged into your mixer. Being seen at system level as a valid USB input also meant I could use software other than the supplied Audacity for recording audio. I also used Roxio’s CD Spindoctor for testing as well with great results. Normally you would look round the back for outputs on almost any product, but Numark have opted for putting the outputs on the underside of the TTX. 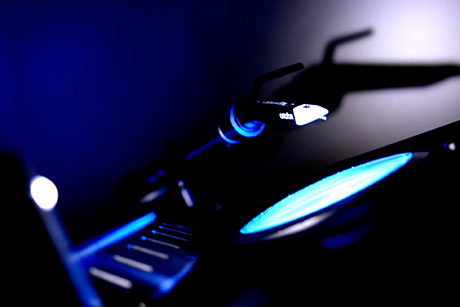 In darkness this would be a problem but Numark have added an extremely useful blue LED (white in the original TTX1). I like it because everything is out of the way, protected from roaming hands and allows you to push the TTX up against your mixer. But it is slightly annoying though when trying to adjust the line/phono switch and the USB out gain. There has always been a running battle between purists advocating S arms for life and the battling brethren who think that straight is great. So it strikes me that the TTX is a perfect and controlled platform to give the “s-arm sounds better” theory a test. Let’s look at the setup – the same deck, same vinyl, same brand new Ortofon Thud Rumble needle – the only variant being the arm. Means I can record audio from the same setup except for the one thing we want to test – the tonearm’s effect on audio quality. The first test I did was to set up a pair of TTXs with duplicate Ortofon spherical needled QBert concorde carts and vinyl but with different arms. I locked the beats and bounced the fader back and forth to see if I could hear a direct difference when played at the same time. I listened through 2 sets of headphones, a set of expensive inner ear buds, some crappy speakers and finally a set of Tannoy speakers. Please forgive my old ears but I heard zero difference at all, at any volume through any listening medium. So it seemed like it was time to don the white coat and get scientific for a hot minute. So I linked the TTX USB to my Powerbook to record the audio directly and then do a waveform comparison out the same audio played with different tonearms. What you see below is a 0.03 seconds worth of The House Of Pain’s “Jump Around” 12″ – straight arm waveform in red, S-arm in blue. And as you can see, they’re virtually identical bar a pixel shift here and there. I’m sure that if I recorded the same track twice on the same arms, I’d probably get the same minor variance in waveform as well. Now this isn’t exactly the most scientific of tests but I hope that it shows that the audible difference between S and straight arms is more or less nothing on the same deck. This doesn’t mean it’s the same from deck to deck but from a relatively solid viewpoint, the basic premise of straight arms sounding worse seems to be less valid than people think. Needle and vinyl wear is however a whole different ball game and the accepted knowledge in that respect is probably true. For a turntablist like myself, the TTX is a dream. Virtually unskippable straight arm, double on/off buttons, way more accessible pitch control and strong torque make using a TTX a near perfect experience. Being able to use keylock also makes for honing juggles just that little better as well. The 50% pitch range also allows for a greater range of audio trickery as well. But mix DJs will also benefit from this large arsenal of tool at their fingertips. 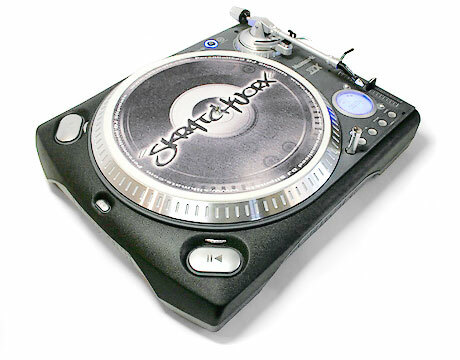 While concessions have been made to make the TTX an amazing scratch decks, it’s for all styles of DJs. The only think that slightly bothers me while spinning (and I’m reaching here to find anything wrong) is the platter has the tendency to not always stop dead when you hit the stop button. I guess the harsh stop has an opposite reaction and sometime moves backwards. So I always have to close the fader to cater for this. But I’m just being picky. I also wish that the line/phono switch was easier to get to. Numark managed to put the power button on the top – it can’t be too hard to add that control to the top either, especially in these times of needing to always run phono for DVS systems. 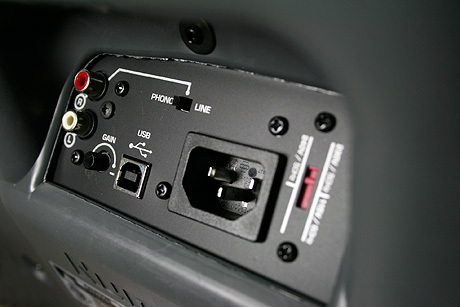 The USB port is a welcome replacement for the less than popular SPDIF port and adds a degree of extra functionality to the TTX. With the changes that have been made over the last 4-5 years, the TTX has matured into a product that is hard to fault. I can’t think of one reason why the TTX shouldn’t be the deck of choice seen in every bedroom, bar or superclub on the planet… except the Technics 1200. Seems durability is a huge factor in buying turntables, especially for those that are constantly thrown into the back of a van and played out every weekend. 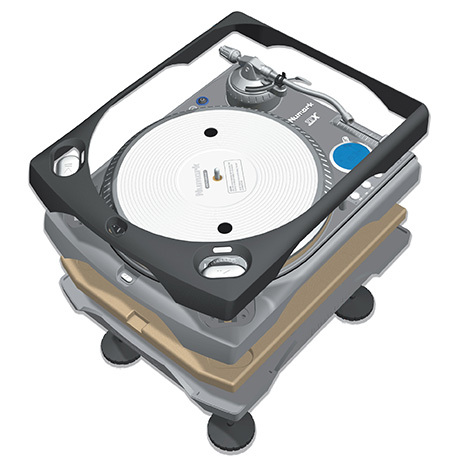 And with the early reputation sticking harder than superglue, the TTX will always be in at least second place in the turntable superleague – no matter what Numark do to it. Reviewing gear is a tough task. We get to spend a brief moment in time with equipment that is destined to stay with people for years. We can report on nearly everything except the longevity of said lump of gear. In this instance however, I’ve been able to personally track the evolution and long term running of the TTX. And this evolution has seen Numark fix the mistakes made with the motor and go on to add variable torque and a USB out port. The pure volume of features can be overwhelming to many, but mark my words – no turntable offers the features that the TTX does. And it still comes in at £25-125 cheaper than it’s rivals. As the tank of turntables, this is really hard to knock in any way. But the hopefully fixed long standing motor problem does knock my confidence just a tad. There’s no difference between S and straight arm, and the extremely heavy body doesn’t make a world of difference either compared to other decks I’ve tried. But it does sound great. Comparing the TTX to other decks on the market, it has the fullest feature set on the market. It’s not quite perfect though as the S-arm performance isn’t as good as I’d hoped and access to cables is on the underside. 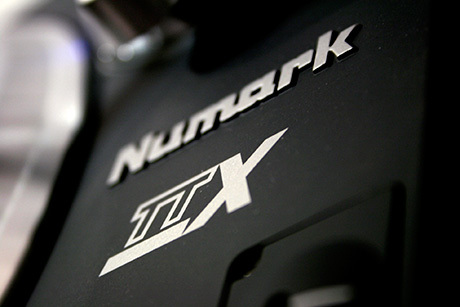 The Numark TTX comes feature-laden at a high quality plus having a very wallet friendly price tag for a pro level deck. Cons: S arm performance – possible motor issue doubt – cable access. Now that the old motor based problems are long time fixed, the TTX is as near perfection as a turntable can get.